“SMEs Go Digital” – A workshop conducted by Mr. Prem Prakash of Inspire Pte Ltd in collaboration with SICCI on 18th July 2017 with an objective to share actionable insights on digitalisation today. Digitalisation is changing our day to day lifestyle. From the way you travel to the way businesses operate. 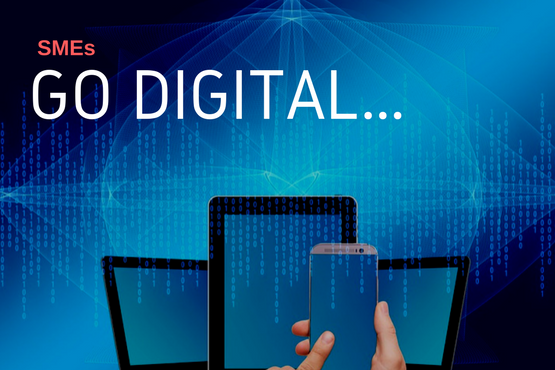 In this interactive workshop, Prem focused on why it’s high time for SME’s and other organisations to embrace ‘digital’ in all areas of business and not just in sales & marketing. He touched on the various technologies such as analytics, free content, shared economy, delivery lockers, social media, block chain etc. that have given rise to superior, low-cost substitutes for traditional services. He also shared that digitalisation today is needed for every industry. In this fast and super connected world, it has become imperative for businesses to use technology wisely for their business. Before diving straight into the “How” of digitalisation it is important to take a step back and observe the business environment today. It is important to see how it has changed. 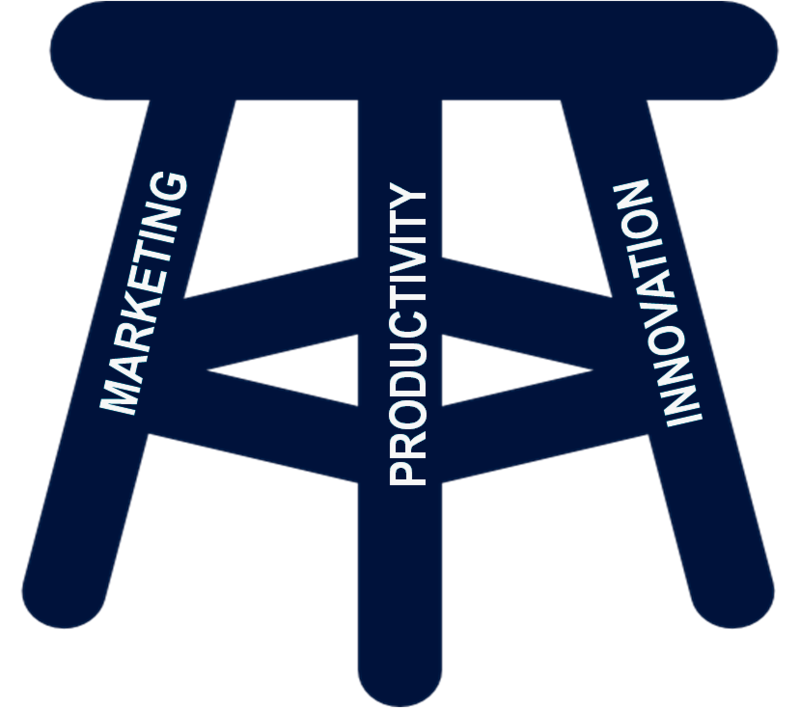 Some of the changes we see today are; rising customer expectations, Changing customer behavior, multi-pronged competition and shortening product cycle. Digitalisation efforts can improve the overall health of your business. 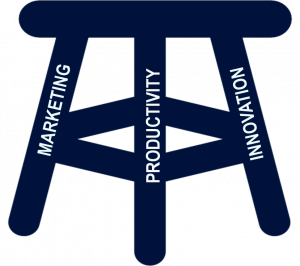 Prem highlighted the three major pillars of “Digital” as marketing, productivity and innovation. He went on give many examples and success stories. One such case study was about how a small retailer ( mom-n-pop shop) used technology effectively to drive more sales by a simple method of “Sell First, Buy/manufacture later”. Every day we see news about how companies and govt. agencies are being attacked by cyberspace terrorists. With the growing connectivity and reliance on technology it is getting harder to ignore the online threats we face. It definitely dampens the initiative and people justify status quo. Prem, urged that such incidents should not act as deterrents to an organisation’s digitalisation decisions. There are ways to overcome such issues if they are addressed in the very beginning of your digitalisation journey. In segment 2 of the workshop Prem touched on the “How” part of ‘digitalisation’. 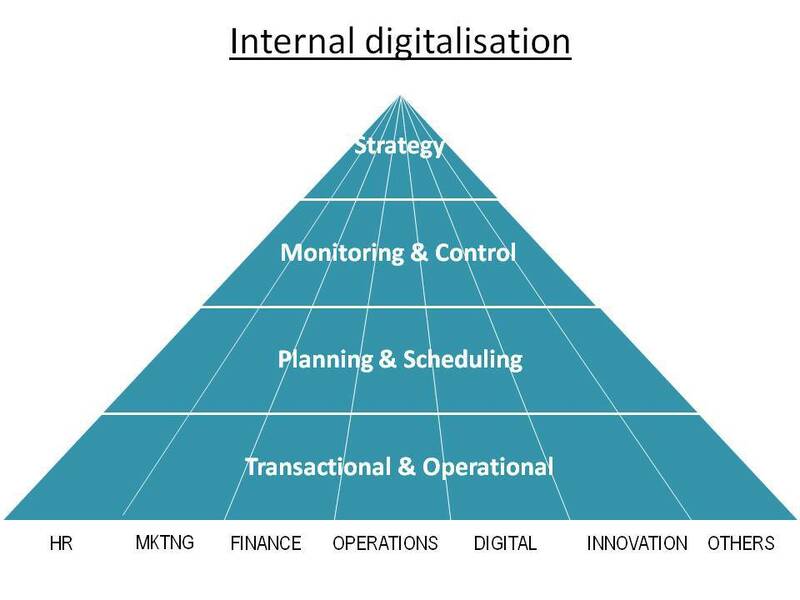 There are some factors that act as inhibitors for digitalisation of a company. Some of the factors identified were mindset & beliefs, lack of awareness & knowledge, low importance of Digitalisation, Lack of vision, planning & readiness, cyber threats and more. Additionally, what’s driving this increasing speed of digitalisation and wide-spread use of technologies, is due to factors such as Global internet availability, Low cost smart phone, Self service devices& apps, Automation using IOT, Social media, Pay as you use and more. Most executives feel that digitalisation will change their external outputs. Prem, shared how the digitalisation strategy needs to be approached in two folds; internal & external. 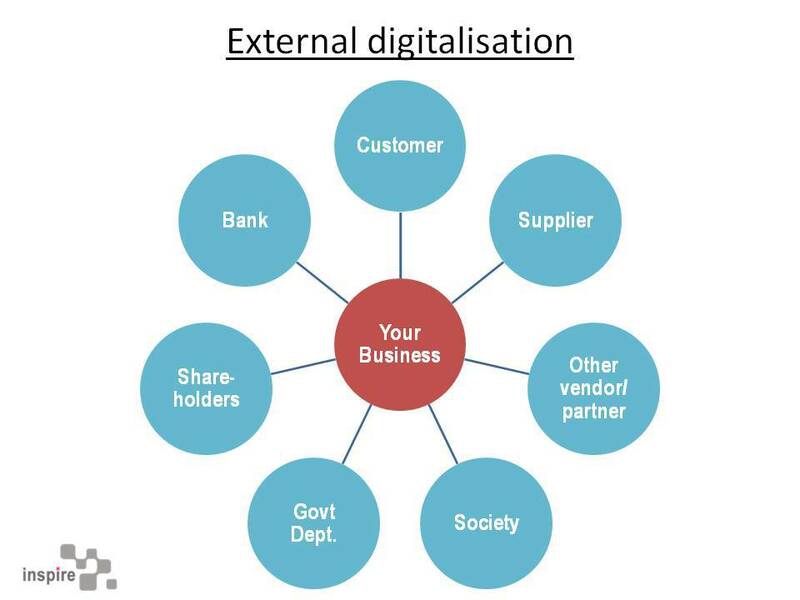 External digitalisation will improve your external outputs & relationships with third parties. It will improve the way you interact with the external world and this has potential of quantum improvement not only for your organisation but also for all your business partners. So the immediate steps an organisation should initiate is to define their vision for digitalisation and work out a road-map to realise it. He concluded by stating, that every dollar well spent in digitalisation has a potential to generate 3 dollar for business.